Wabi sabi is not a religion, although its roots can be found in zen buddhism. It was first practiced by Japanese buddhist monks, priests and tea masters, and focused on how the virtues of a simple life could lead to happiness, peace and, of course, enlightenment. In the 12th century, a travelling Japanese monk called Eisai went to China and, on returning to Japan, brought back with him some of the principles of zen. This eastern mode of being teaches us to live in an often austere way. Its philosophy is to turn away from material things, respect the mundanity of everyday life, tasks and thoughts, and live close to nature. The zen buddhist monks often spent long periods of time engaged in intense meditation, and Eisai taught them how to make tea in order to stay awake. This process of tea making evolved into the famous Japanese tea ceremony. By the early 16th century, the tea ceremony was established as the most famous form of zen philosophy, thanks to a monk named Sen no Rikyu. Rikyu took care that each of the utensils used to make and serve the tea, and the atmosphere and décor of the teahouse, all refl ected zen philosophy. 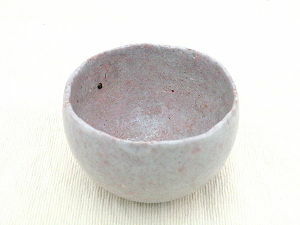 He used rough earthenware pottery tea cups, which were notably defi ned by their irregularities and imperfections; the tiny tea house was fashioned on a rustic mud hut; wildfl owers were simply arranged rather than painstakingly modeled into impressive displays, and Rikyu conducted the ceremony itself by dim light or moonlight to bring the participants’ focus to the natural world outside. Japanese people from noblemen to peasants were enchanted by this new mode of being, and it marked the birth of wabi sabi. Rikyu’s simple tea ceremony was known as wabichado and it is still carried out in teahouses across Japan today – people take time out from their busy lives for a momentary contemplative pause. They prepare and drink the tea just as their zen buddhist predecessors did. To be humble is to know truly the relationship between oneself and God.